As Grant (2019) wrote for the New York Times, we should stop asking children what they want to be when they grow up. Establishing the connection in a child’s mind between self-worth and career achievement before they fully understand the scope of their “chosen” career sets up a potentially unsatisfying or delayed entrance into the professional workforce. Instead of pushing children to limit themselves to one career path, we should encourage them to explore what tasks they like to do and the qualities they would like to have in a career. In addition, we must work to evolve the mindset of career and technical education (CTE) programs being a “second choice,” as Fain (2017) puts it in his Inside Higher Ed article. Despite the growing demand for skilled workers in roles like dental hygienists, electricians, or HVAC technicians, the skepticism toward these programs is creating a huge skill gap in the workforce. In order to meet the growing demand for technically skilled workers, we need to re-educate ourselves about technical careers and reframe them as viable, successful paths for our children to follow. in-demand occupations, PursuitWise strives to connect students to the resources and support they need to develop sustainable education and career plans. Career counselors (a.k.a. Career Navigators) are available virtually to assist with pre-enrollment and answer any questions regarding the application process, financial aid, and more. In March of 2019, PursuitWise presented career information to roughly 40 high school seniors who are graduating in the spring of 2019. 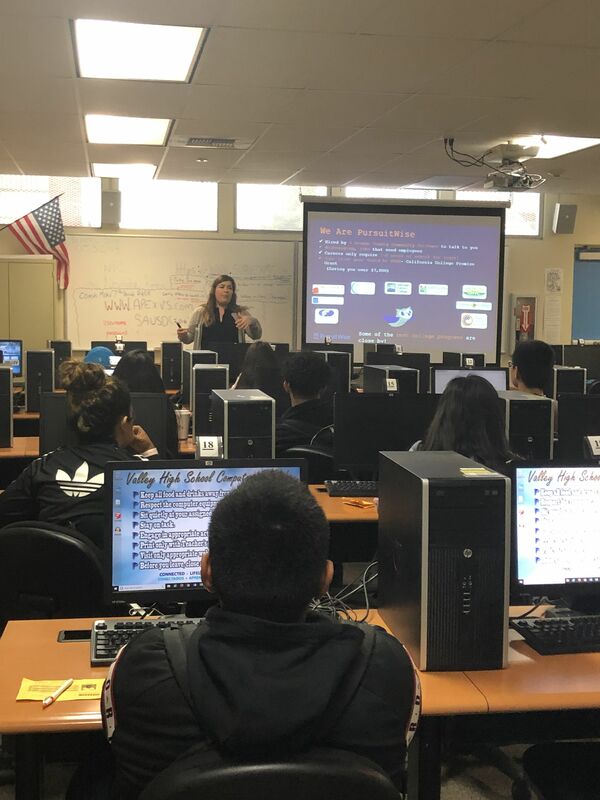 In this presentation, PursuitWise Navigators informed the group about technical careers in Orange County and prepared an activity for students to guess the hourly and yearly salary for some of these careers. Students were shocked at how much a dental hygienist can earn with only two years of training, and prior to the activity some had only associated these higher wages with higher educational attainment. Afterward, students were able to take a career assessment to identify which industry they may be interested in based on characteristics of different work environments. Once students found a career field of interest, they went on to take another assessment that recommends specific, high demand occupations within that field. After surveying these students, data showed they found the results page of the occupational assessments to be particularly helpful. They could learn more about an occupation, locate relevant Orange County Community College programs near them, and contact a Career Navigator for help, all within one page. The stigma around community colleges is limiting students to two main options post high school—enrolling in a four-year institution or going straight into the workforce with little to no training. PursuitWise aims to educate students, parents, and the community about the value of technical careers and the benefits they can bring to students’ lives and the economy. Our goal is not to dissuade students from attending four-year institutions but to give them more options and information in order to make the best decisions about their futures and what awaits them in the professional workforce. Click on these links to learn more about PursuitWise or to check out the assessments for yourself!